The Oreo and 360i teams easily captured the gold medal for its quick work during last night’s Super Bowl blackout. Not only did they put together a very timely piece of creative, but they did a great job promoting the behind-the-scenes work that went into it as well. The tweet that featured the image (pictured right), received at least 10,000 tweets, and a lot of media attention. However, while other brands scrambled to bid on Twitter promoted tweets, the team that runs MiO Fit’s paid search campaigns saw an opportunity to own a channel that was entirely untouched: Google. 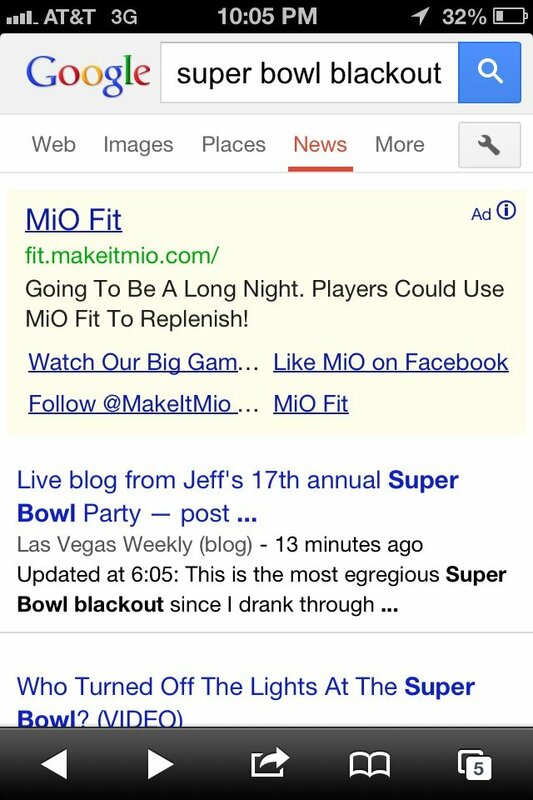 The ad copy was taken from a @MakeItMiO tweet, and the destination URL was the standard MiO Fit landing page. 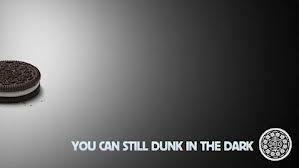 Oreo did the right thing by attacking Twitter early on with a catchy visual + client buy-in. (Can’t forget about that.) But the team behind MiO’s paid search efforts should be applauded for its quick thinking, and doing what I believe was the next best thing last night. Kudos to what was very smart – albeit under-the-radar – ad buy. Digital Strategy: Google Plus reached 100 million unique visits in October 2012. Here’s what it means.